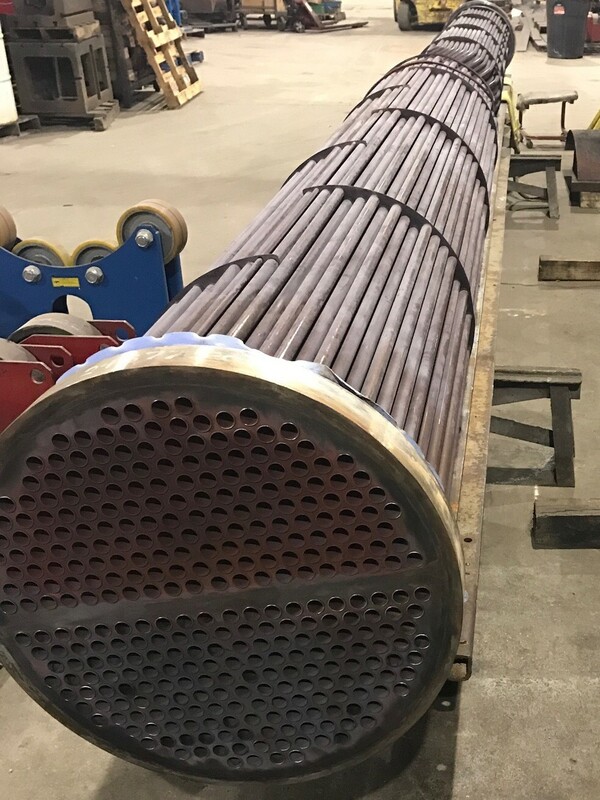 Retube: The U-Tubes of this heat exchanger will soon be extracted, baffles scrapped, and the unit retubed with new baffles. The soon to be "good as new" heat exchanger bundles will then be delivered back to our customer. Contact AM-EX for your process heat exchanger needs! Although AM-EX is best known for our Feedwater Heater Design and Feedwater Heater Manufacturing, AM-EX also specializes in process heat exchangers for the pulp and paper, process, and food industries. Contact AM-EX with your "made in the USA" heat exchanger specifications.